If there’s one sight that gets a skier’s blood pumping, it’s the steady accumulation of snow building on Whistler’s peaks. The start of a new season at one of the best ski resorts in North America — Whistler, British Columbia — prompts a hasty rewax of skis and boards and a check of equipment. You can feel the hype in the air. But that’s just one part of the mountain culture here. 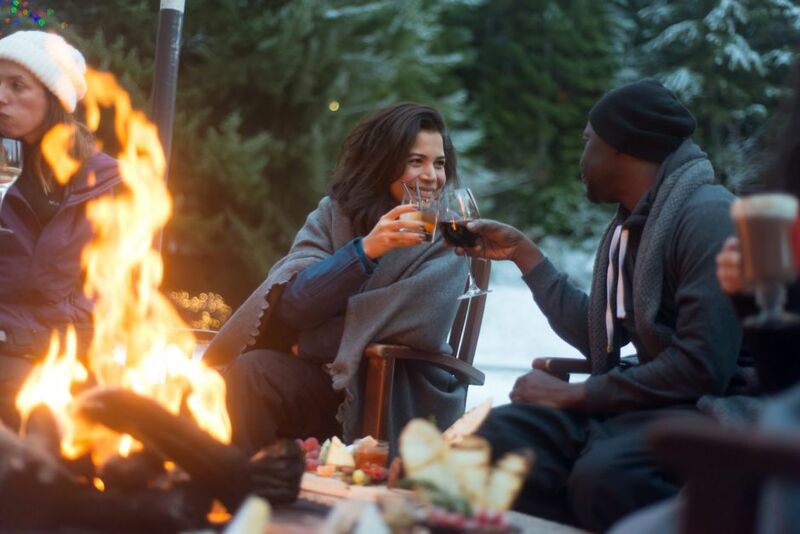 From that intangible energy around the Village, to first-class First Nations artwork, to amazing food and drink, here are seven reasons why you need to get to Whistler this winter and experience this way of life for yourself. 1. Just getting to (and between) the mountains is amazing. Between Whistler and Blackcomb Mountains, there’s over 8,100 acres of skiable terrain for every kind of rider. And that’s 8,100 acres that receive an annual snowfall of more than 450 inches. 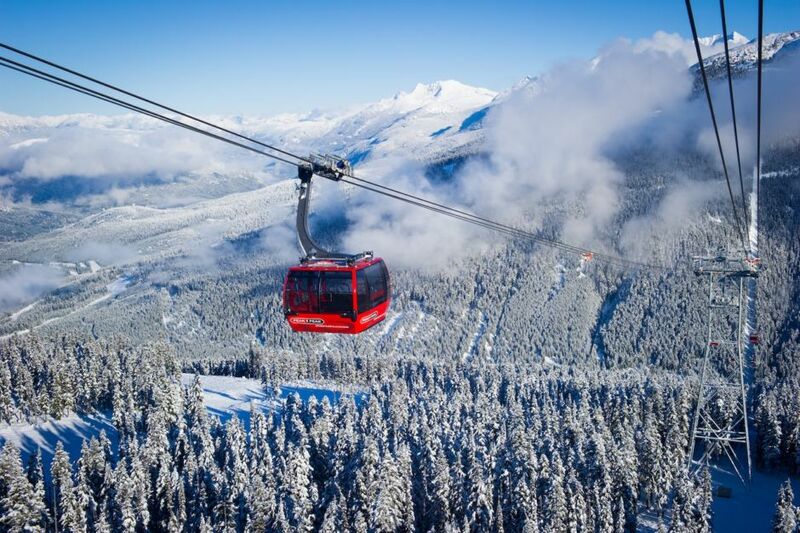 To get to your first peak, hop on the six-seater Emerald Express up to Whistler Mountain, or nab a spot on the new 10-seater Blackcomb Express Gondola — it rises from the village to access the steep, hike-in runs on the Glacier. Whichever you choose, you can bring the whole fam. Once you’ve covered the basics, don’t forget to hop between the mountains. Lift passes include use of the Peak 2 Peak Gondola, so you can mix up terrain, stay on the hills longer, and “move” mountains. It’s a scenic 11-minute high ride over Fitzsimmons Creek, with options to board see-through, glass-bottom gondola cabins. Skiing and riding works up an appetite bigger than these mountains — and if you’re a foodie, that can be a tall order. To meet the challenge, how about some wild BC sablefish? Fresh sushi-grade fish air-lifted from Japan? Shared plates of Spanish tapas? Wood-fired pizza with local potatoes grown just up the road in the village of Pemberton? Yeah. Everything here is elevated. One experience not to miss? Champagne sabering. Here’s how it works: Step into the underground wine cellar at the Bearfoot Bistro. Take the saber you’re handed. Get in position. 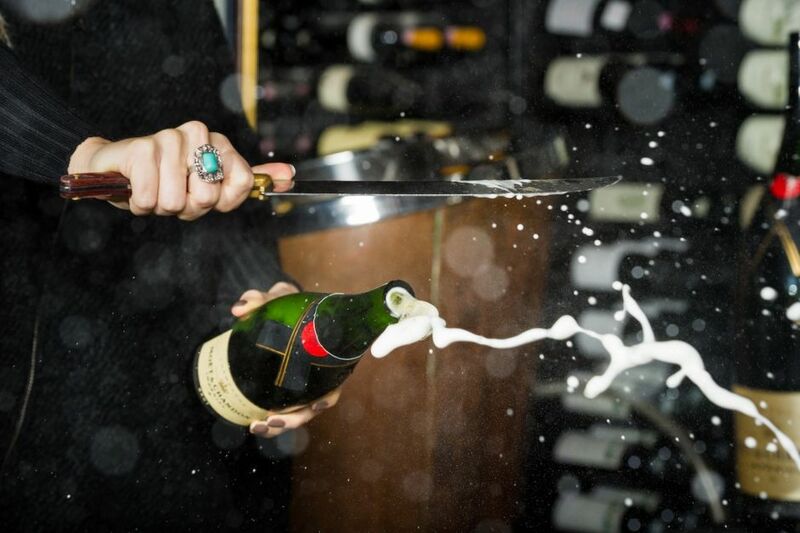 Try your hand at chopping the top off a bottle of champagne. Laugh at your probably awkward launch — and try again. Drink! This tradition dates back to Napoleon, when a clean sabering meant good luck in the battle to come. Fortunately, the only battle likely to follow your saber ceremony will be to decide who gets to keep the cork trophy. 3. …especially when it comes to the après scene. Whistler practically invented après. The Umbrella Bar is one of the newer joints, and it’s got possibly the best mountain views save those you’ll catch on board or skis. HandleBar isn’t quite as mainstream (they don’t even have TVs) — let’s just say it’s more for those who would grow the mustache. Dusty’s is the grandfather on the block, and if you want some legit après history, you come right here. For awesome live music, follow your ears to the Garibaldi Lift Company (GLC) or Longhorn Saloon. Wine? That’s Earls, Stonesedge, or The Brasserie. Lakeside views? Cure. And if you’re looking for straight-up chaos, head toward Cinnamon Bear on Tuesdays. The Audain Art Museum displays a permanent collection of coastal British Columbia artwork from the 18th century to the present, including a large collection of works by the influential West Coast artist Emily Carr. The building is a beautiful, low-slung structure that sits above the flood plain of Fitzsimmons Creek and blends into the forest along the pedestrian-only Village Stroll. 5. …and the history ain’t shabby, either. 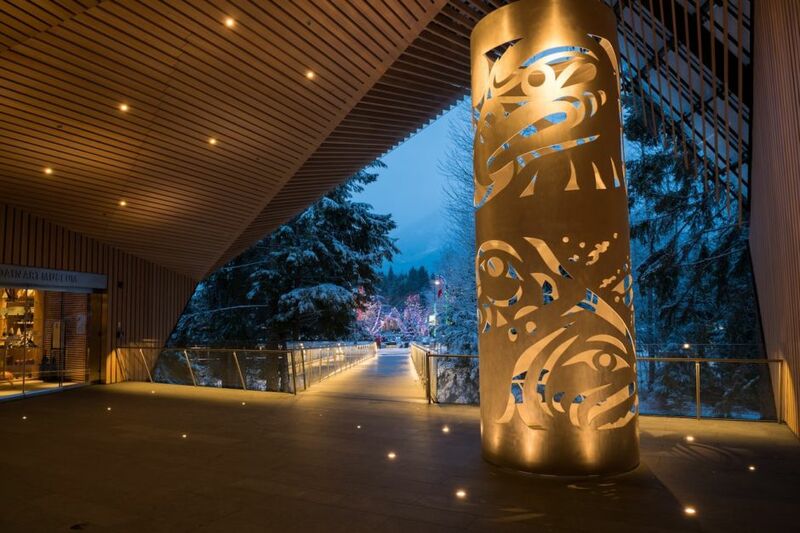 After your dip into First Nations art, it’s time to interact with indigenous tradition. 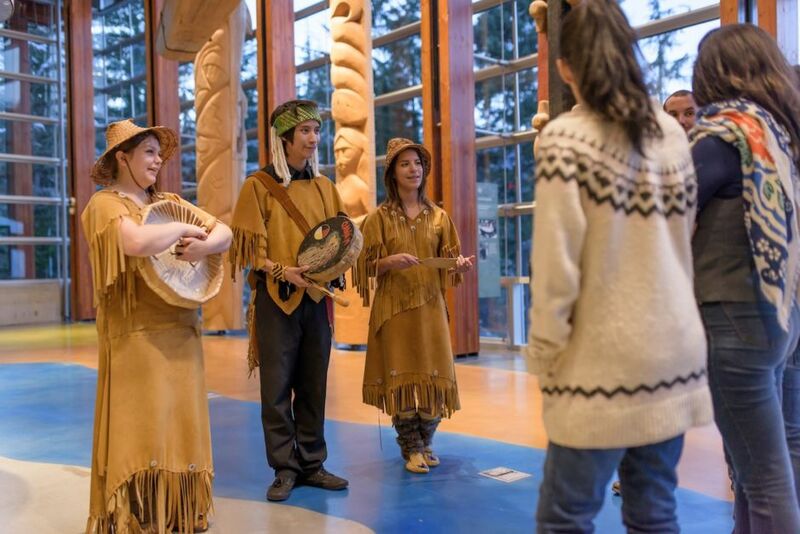 The Squamish Lil’wat Culture Centre in Whistler’s Upper Village shares the heritage of two First Nations who peacefully coexisted in the area for centuries. Through oral storytelling and exhibits of basketry, weaving, and carvings, guides will take you on a cultural journey through the history and nature of the region. For the record, the center doesn’t shy away from discussing difficult subjects. The look you’ll get is as unfiltered and honest as it comes. 6. You’ll achieve spa nirvana. You’re allowed a spa day even if you spent the past eight hours curled up by the fire reading a book. At Whistler’s Scandinave Spa, you can say you’re just going for the views — the pools overlook the forest and nearby peaks. Said mountain-view soak time is just one part of their Scandinavian hydrotherapy circuit. 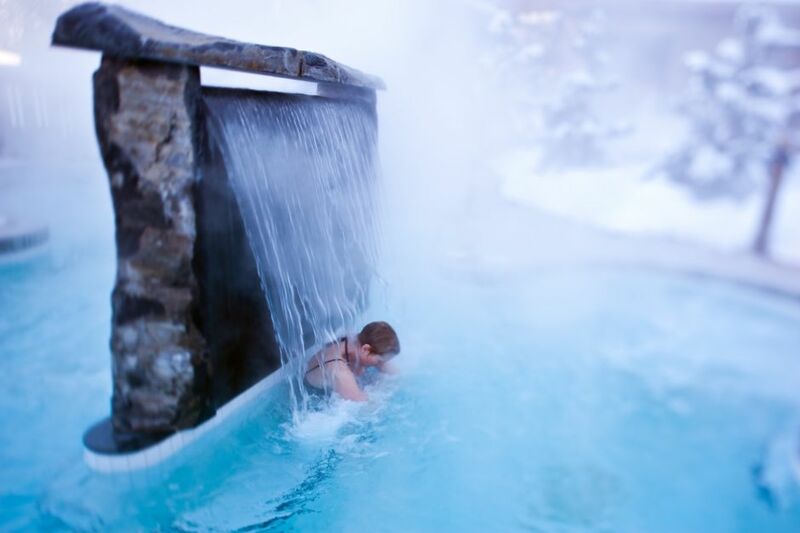 You can also expect to cycle between “hot, cold, and relax” with saunas, steam rooms, hot tubs, and cold-plunge pools. The hot-cold circuit gets the blood flowing, while relaxation rooms and fireside chairs give the body a chance to rest after charging on the hill all day. Note: Their silence policy might be a struggle for some guests, but the lack of extra noise really eases the mind in this adult-only outdoor spa retreat. 7. The local ice may be even cooler than the snow. There’s beauty above and beneath the snow and ice of Whistler’s mountains. Case in point: A short, luxurious heli-ride away is the stunning Pemberton Ice Cap, one of British Columbia’s largest icefields. And here, there are hidden ice caves you can wander through. 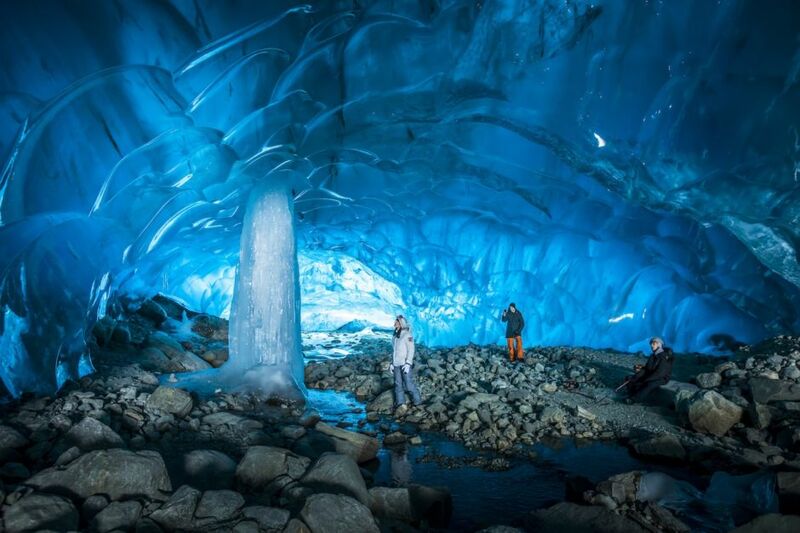 The aqua-blue chambers under the ice cap are breathtaking in their size, as well as their hue. The ancient ice forms a maze of spectacular halls, all dotted with frozen sculptures and flows. If you’ve got the means (or are in for a serious splurge), you can arrange a dining experience set in the blue light of a private ice chamber, and guided tours are available through select companies. On the mountain, under the mountain, next to it — choose your preposition. It’s all grand. This post is proudly produced in partnership with Tourism Whistler.